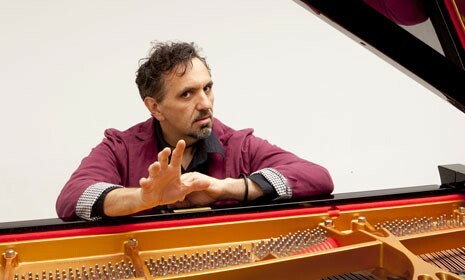 Joe Chindamo is routinely described as one of the best jazz pianists in the world, but as an artist he transcends jazz; having composed concertos, chamber music and film music. He has recorded 23 albums under his own name and won a plethora of awards: several ARIAS, Bell Awards (inducted to the Hall of Fame in 2016); and twice, the Mo Award for ‘Jazz Instrumental Performer of the Year.’ He has performed and recorded with the who’s who of many musical genres, from Billy Cobham, Ray Brown, James Morrison and the Brecker Brothers, to Rickie Lee Jones, Olivia Newton John, Dame Kiri Te Kanawa, Yvonne Kenny and most notably with Ann Sofie Von Otter. As a composer, he is establishing himself as a new and unique voice in Australian music. In 2014 his first String Quartet was commissioned and performed by Sydney-based Acacia Quartet. His Toccata for solo violin was one of only four Australian compositions chosen by performers at the recent ABC Young Performers Competition. In 2014 two of his 'Baroque' re-imaginings scored for string orchestra were performed by ACO2. In 2011 he co-founded his innovative duo with violin virtuoso Zoe Black, with whom he has recorded three acclaimed albums, the latest being 2015's The New Goldberg Variations.